N.G. Bharateesh Reddy, Vice-President (Operations), Apollo BGS Hospitals, Mysuru, seen flagging off the awareness rally with the theme ‘YES ! YOU CAN SURVIVE A STROKE’ in front of the hospital here on Monday as Dr. Aumir Moin – Consultant Neurologist, Boraiaah, Nagraj and Roshan – Stroke Survivors, Dr. Somnath Vasudev – Head of Institute of Neurosciences, Apollo BGS Hospitals, Dr. Vinay Hegde – Consultant Neuro Radiologist and others look on. 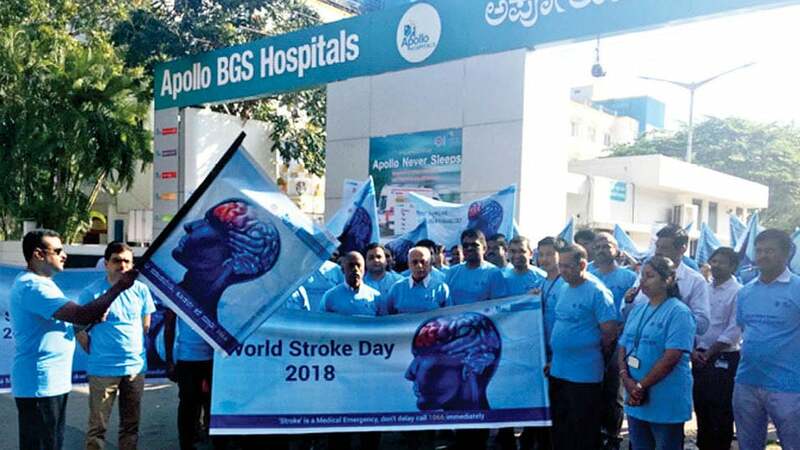 The rallyists comprising Hospital staff, Management, Doctors, Nurses and the patients who survived Stroke in the past, passed through the main roads in the surroundings of the hospital before culminating at the starting point.